As a product manager, you know the drill. Coordinating designer and developer teams simultaneously while reporting to the boss via email becomes a drag. But don’t worry, have hope! Using the right applications, everybody can work together flawlessly, in addition, you can save enormous time on execution. We created a list of all the essential platforms a product manager would need, so anyone can revolutionize their team workflow. We simply cannot overemphasize the importance of collaboration tools. Our team would literally die without them since these platforms allow everyone to get on the same page. When developing a product, you need to make information available to all parties, communicate continuously with the teams and track the entire design flow. Lacking the proper system renders this a nearly impossible mission – especially when some of the team works remotely. 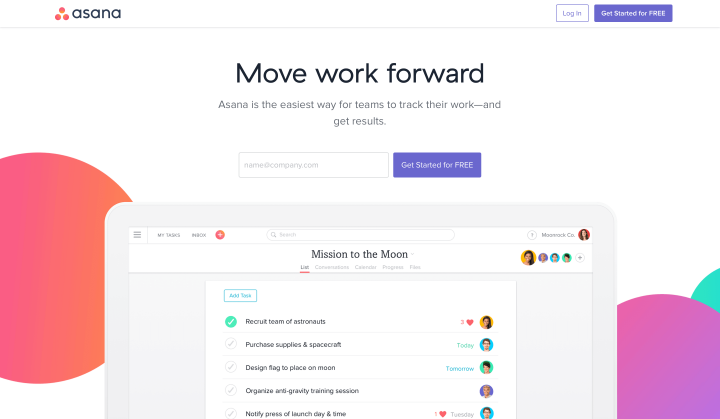 Asana has become one of the best-known collaboration tools on this planet. The platform makes it possible to create dashboards, tasks, projects, discussions and much more. 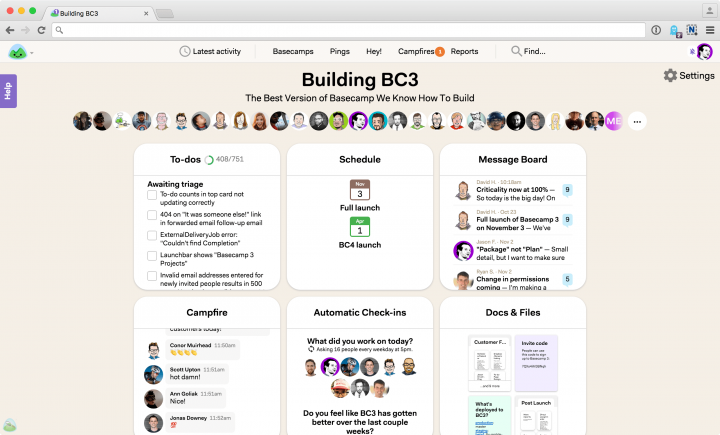 Basecamp has emerged as the other hotshot of project management and collaboration tools. You can create to-do’s with deadlines, milestones, upload files and organize discussions within the software. ProductHQ is an “all-inclusive” product management tool that aims to help product teams coordinate everything from planning to designing and development. It lets your team create a very detailed roadmap that can be easily followed up on, modified, and tracked. ProductHQ was created with the aim to visualize the entire product development process and collaborate with one another effectively. ProductHQ was created with the aim to visualize the entire product development process. Another sweetheart in our team because it’s almost dummy-proof. 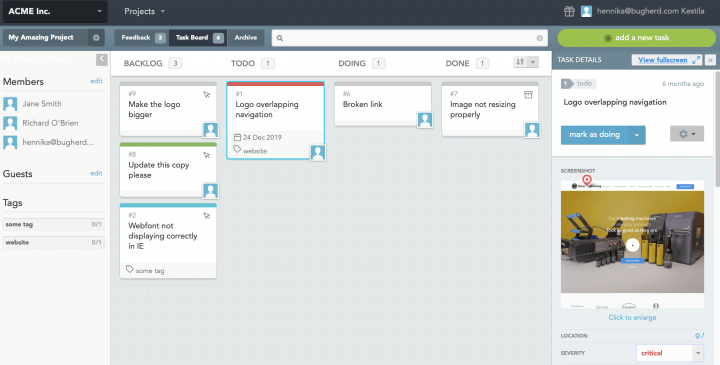 Trello organizes projects into cards and boards to visualize a project’s current stage. Price: Free, though the business class package for $9.99 / user / month. It offers more integrations and a higher level of security. Nifty is a collaboration and project management hub fuelled by user-friendly design. It combines the core phases of project planning and management with collaborative discussions and messaging. 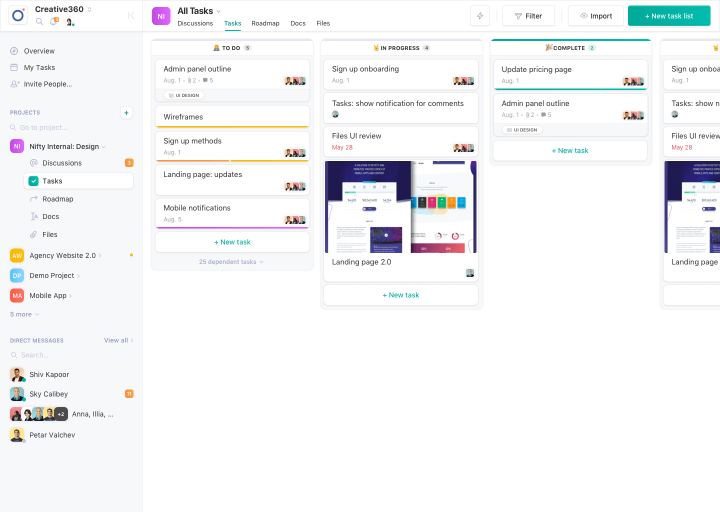 An all-in-one workspace for product, remote, and client facing teams. Affordable, especially when you factor in the other subscriptions it will replace. Their product expansion and feedback-to-implementation time moves at breakneck speed, so most product updates are a matter of “when” rather than “if”. 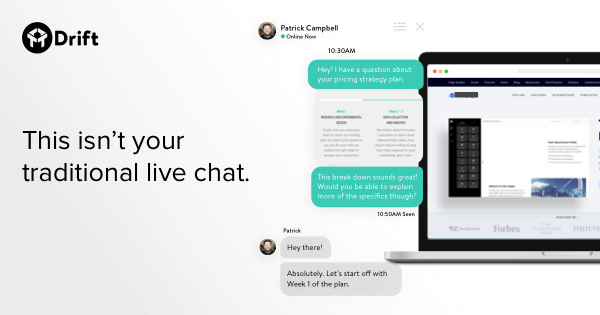 ClickUp is a productivity platform that provides a fundamentally new way to work. 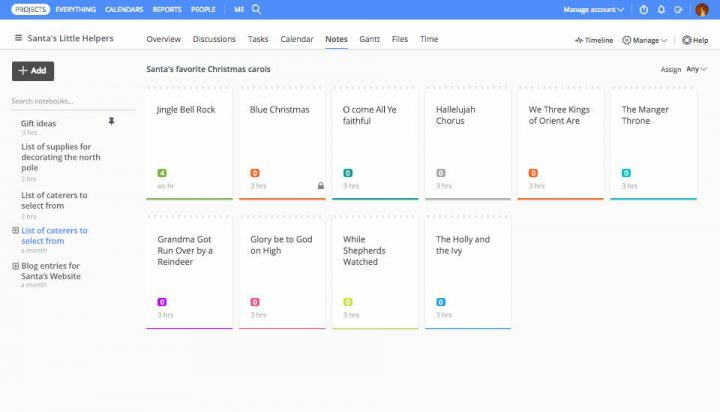 Unlike many other task management software options, ClickUp offers notes, reminders, goals, calendar, scheduling, and even an inbox. It is fully customizable, so all types of teams can use the same app to plan, organize, and collaborate on projects. 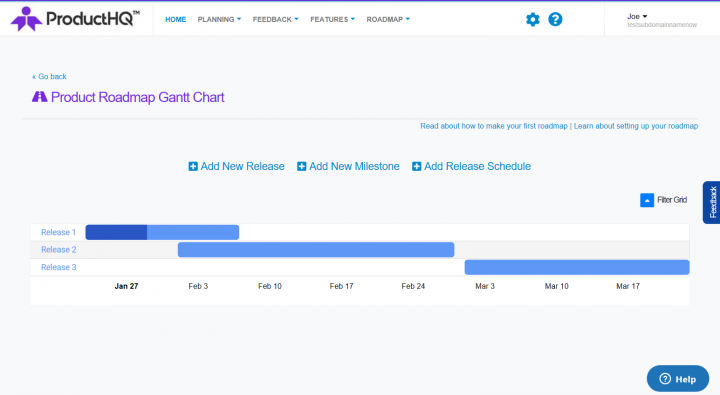 Multiple views: list view, board view, box view and Gantt, etc. 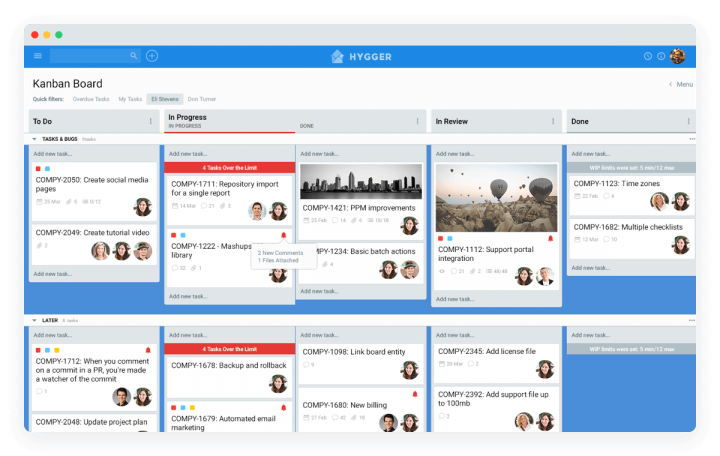 Hygger is a project management tool with built-in prioritization. The platform allows establishing specific project goals and breaking them into an actionable plan. It’s popular for coordination and collaboration functionality that provide full transparency of work. Hygger is a tool for software development, product management, marketing, creative agencies, and other teams. Multiple team members can cooperate once invited to the board. Easy to use interface available for small and medium sized teams. 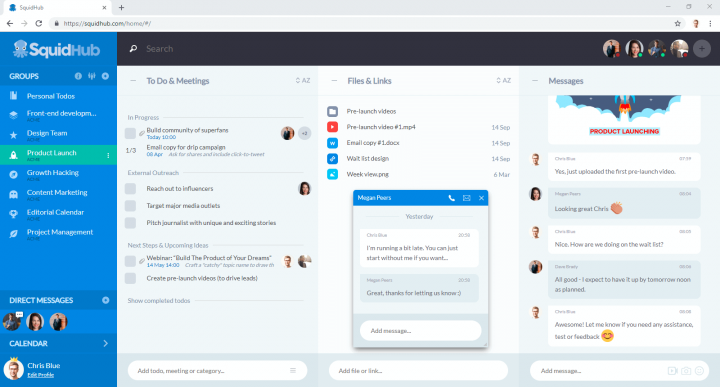 An all-in-one collaboration app for teams: SquidHub combines task management, a team messenger, file sharing, direct messages, video calls and a calendar into one simple app. It will make your team move faster: The overview and clear structure makes your team organised and provides clarity, faster progress, less stress and more motivated team members. Cross-platform: Available on web, iPhone and Android. Active Collab handily organizes everything in one place. The platform allows task management, time tracking, discussions and even invoicing. 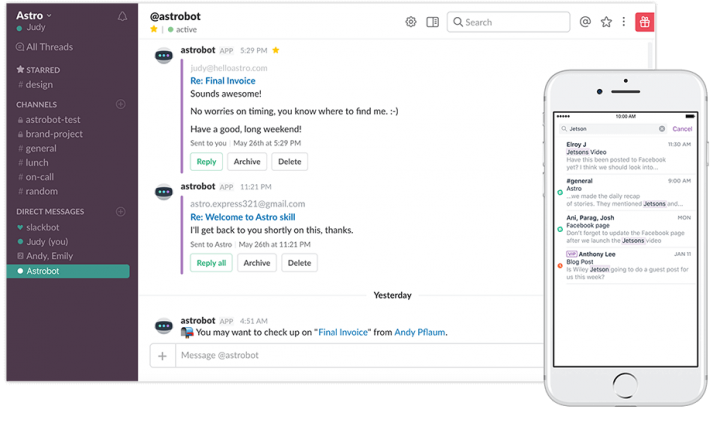 When it comes to solving team collaboration problems, there is nothing quite like ProofHub. ProofHub is a powerful tool for managing tasks in an accurate way and to get team work together efficiently. Everything comes super easy with ProofHub, as it is one place for all your projects, teams, and communication. Pricing: 30-day free trial! Ultimate control at $89 per month billed annually. 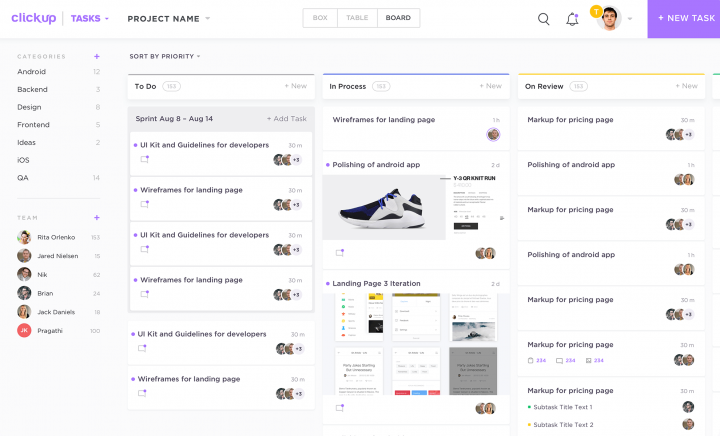 Mockplus iDoc is a powerful product design collaboration tool for designers and developers by creating a connected online space for product teams. It’s possible to export design right from the Sketch, Photoshop or Adobe XD and see the specification prepared automatically. Create interactive and animated prototypes. Make design collaboration easier. 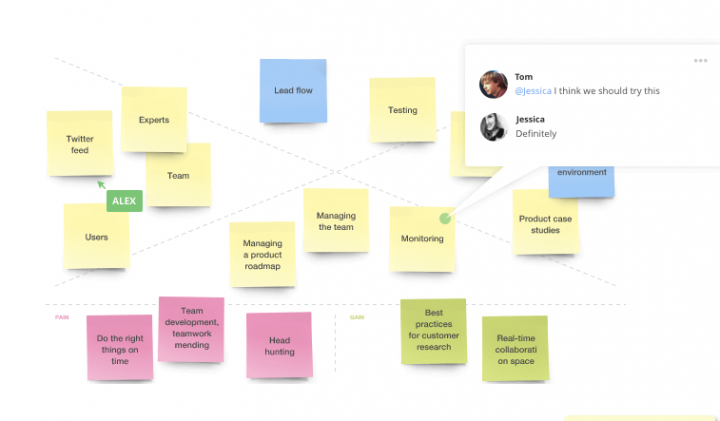 RealTime Board platform enables brainstorming and idea development with different teams. It works as a simple whiteboard allowing simultaneous editing among colleagues. You can use stickers, schemes, comments and even mockups. Actually, we like playing with Slack more than most anything. We use it every day for chatting and sharing threads, ideas and files. Basically for everything connected to daily work. Read more about product design management in our free e-book: Product Managers’ Guide to UX Design. The most essential product management tools, product roadmaps help visualize the entire product development process from sketch to release. View these “maps” as timelines showing different goals and milestones, thus providing deeper insights where you are and where you should be. 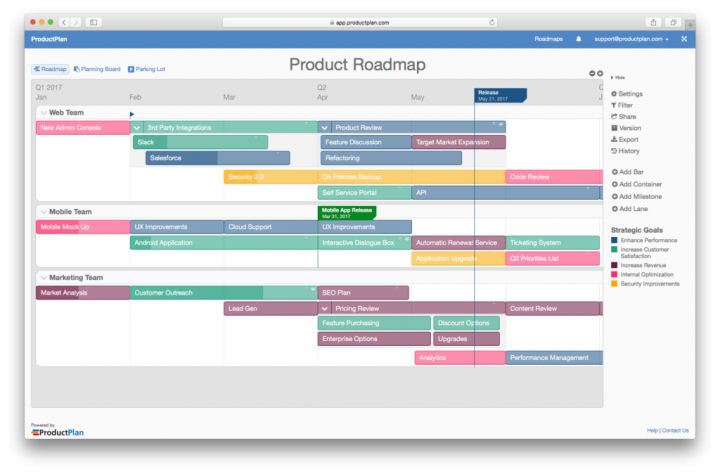 ProductPlan makes it easy for product teams of all sizes to build and share roadmaps. 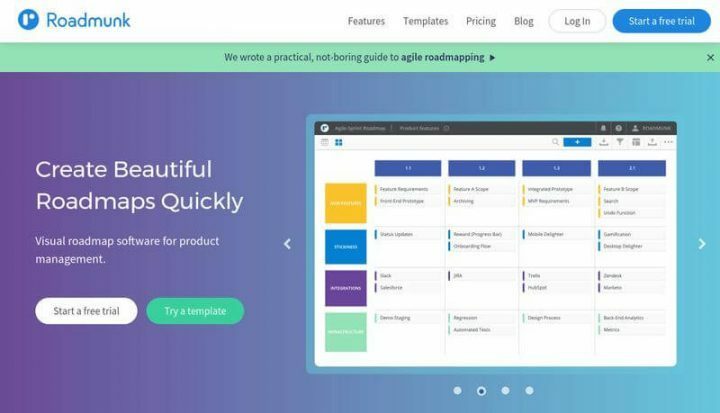 It is designed to help product managers build beautiful visual roadmaps and communicate product strategy with their team and stakeholders. Price: Business Plan starts at $39/editor/month. Roadmunk just about tops the market for roadmap applications right now. The software makes it easier for product managers to follow through development processes and product launches. Using ProdPad visualizes product development flow in another great way. Within the software, product teams can collaborate on ideas and priorities to manage releases with ease. 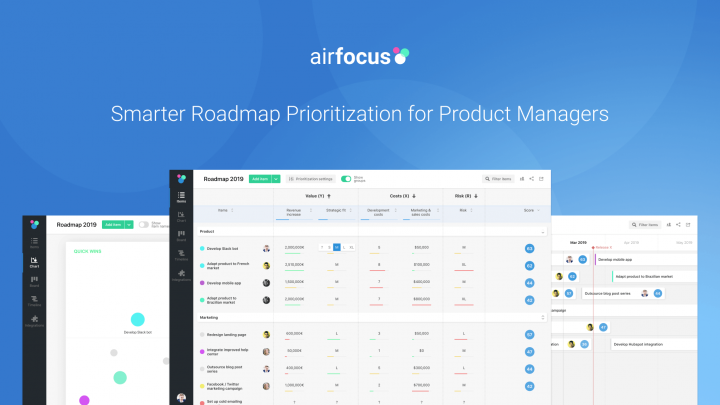 Airfocus is an up-and-coming platform that offers one of the best prioritization features for product management in the market right now. It enables you to decide very precisely what items should make it to your roadmap to avoid wasting limited resources. Price: Starts at $19 per editor and month. Viewers are free. Aha! was born to save the lives of PMs working in agile environments. The platform helps them create transparent product strategies and visual roadmaps to improve product development sprints. Although ProductBoard is a relatively new platform, it could eventually compete well in the field. 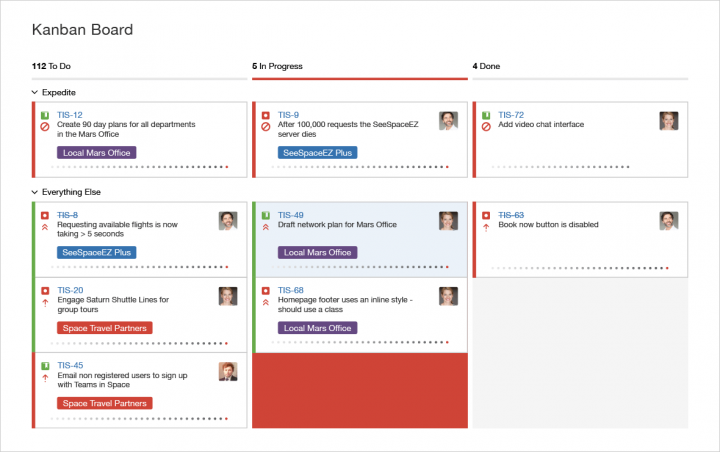 It doesn’t just create roadmaps, it also helps teams tremendously in prioritizing tasks, features and efforts. In order to have a 360-degree overview of the current state and performance of your product, data is key. This is why analytical tools are an absolute must for any product team. But which way to go? If you Google the term “analytical product management tools”, it’s actually quite incredible how many tools exist to help teams with that! So, how do you decide which one to go with? Here are some of our favorites. Appsee is the market leader in qualitative mobile app analytics. You can see exactly how users engage with your app, pinpoint specific areas for improvement, and make better, data-informed decisions for your product. It’s ideal when you aim to strengthen retention and increase conversion rates. Appsee is pretty user-friendly: it auto-tags every screen, button, and user action so that you can obtain answers fast. Plus, they integrate with a wide variety of third-party SDK’s and also offer diverse alerts capabilities. Some of their clients include product leaders like 7-Eleven, busuu, and 1-800 Contacts. Pricing: freemium model, see plans. BugHerd is a visual feedback tool. 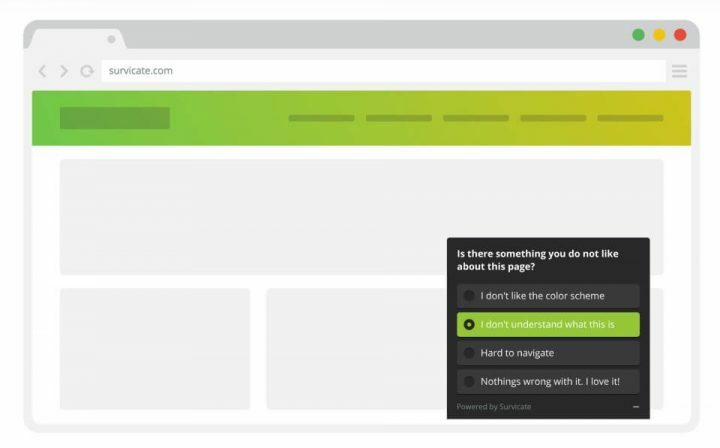 With the help of the BugHerd browser extension, you can collect website feedback and track bugs directly on a page. It’s like using sticky-notes on a website. 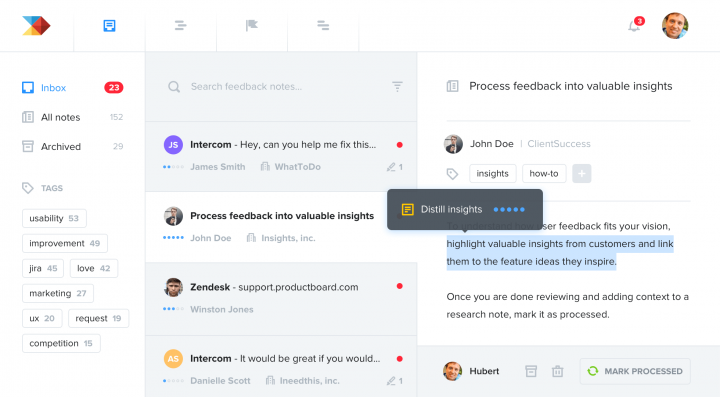 With a point and click, you can send feedback to your dev teams to track tasks visually with at a glance info. BugHerd sends complete and contextual info from the feedback (including screenshots, browser, OS & CSS selector data) to be fully managed via a project and task management Kanban board. cux.io gives you an opportunity to observe the broadest possible context of your user’s behavior online. Have you ever thought how important is to know in how many tabs your user opened your website, or how long your site is somewhere in a browser background so you have a chance to enchain the user? 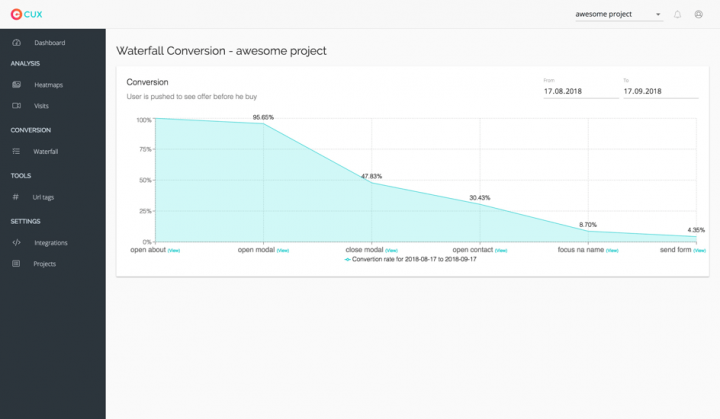 While most other tools work with session-based recordings, cux.io combines an advanced, event-based waterfall conversion funnel with the visits recordings. 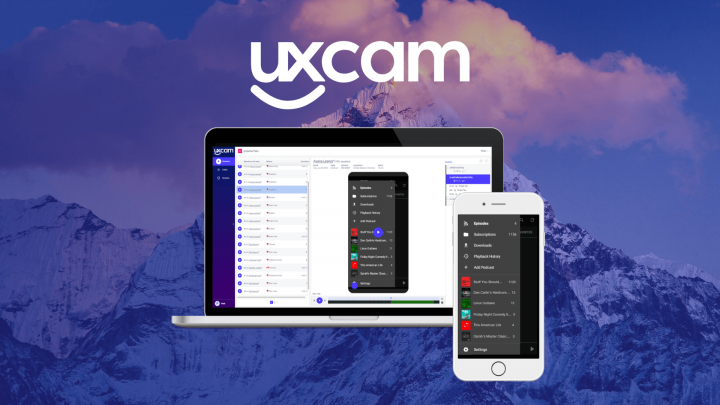 UXCam is an analytics solution that helps Product Managers deliver mobile app UX. 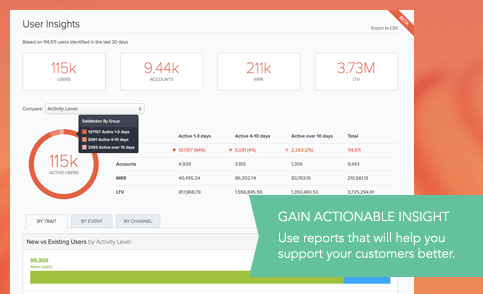 It automatically captures every action that users take and converts the data into visual and actionable insights. A product manager certainly needs a platform to monitor project progress and the management of different issues. Task management tools can save quite some time providing up-to-date information on product development. 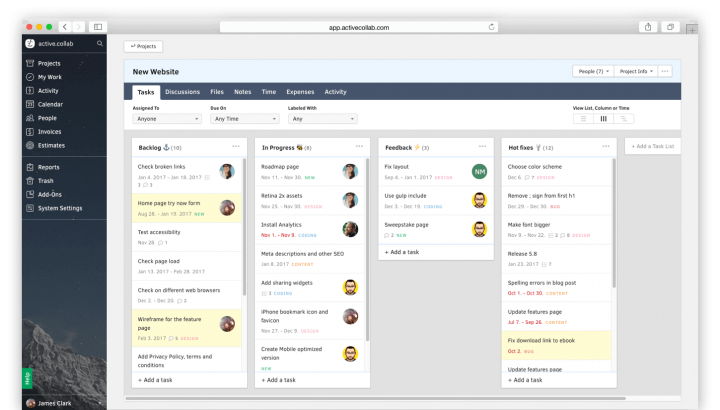 Probably one of the most famous product management tools, JIRA allows Agile and Kanban planning as well. Almost everybody who’s ever thought of using an issue tracking platform knows JIRA. 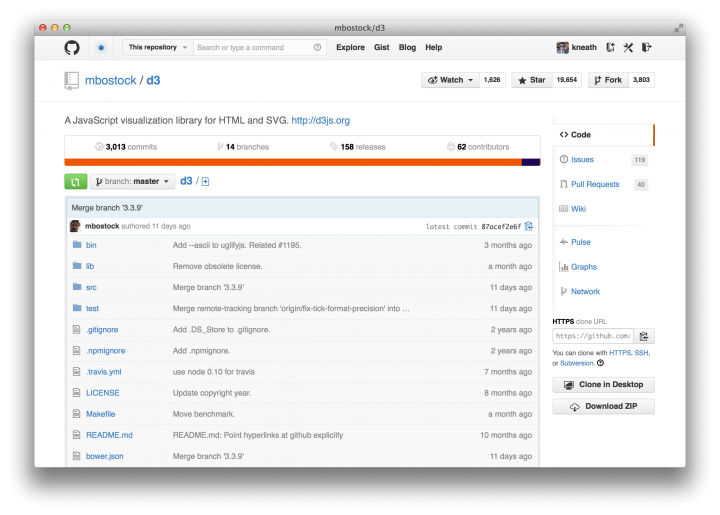 Over 2 million people use GitHub’s open-source issue-monitoring platform on a daily basis. So it’s worth considering it. Also an open-source issue tracking system, Mantis BT sets up in no time. This very basic yet handy tool efficiently does the job. User feedback solutions serve as one of the most important product management tools. Developing a product doesn’t end upon release, you also need to check whether customers like it or not. And if necessary, iterate accordingly. 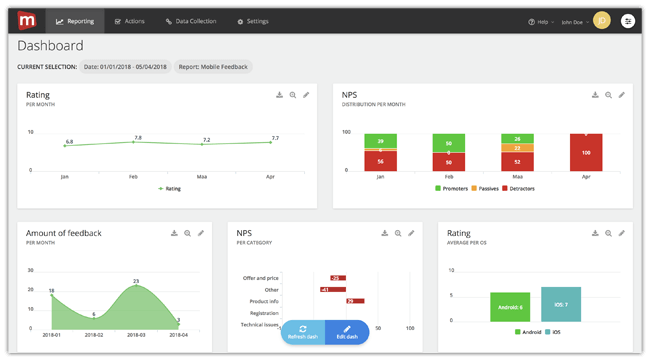 Survicate is a customer feedback tool used by product managers, marketers, and customer success teams worldwide. It lets you collect responses from users across all digital touchpoints, such as websites, email, and mobile apps. You can use the insights to decrease churn, improve website usability, and address customers’ needs more precisely, among other use cases. Uservoice is a well-known product feedback management platform. It gathers customer feedback, creates advanced reports and contributes to the support ticketing system. Price: Basically free, but for business purposes requires requesting a quote. 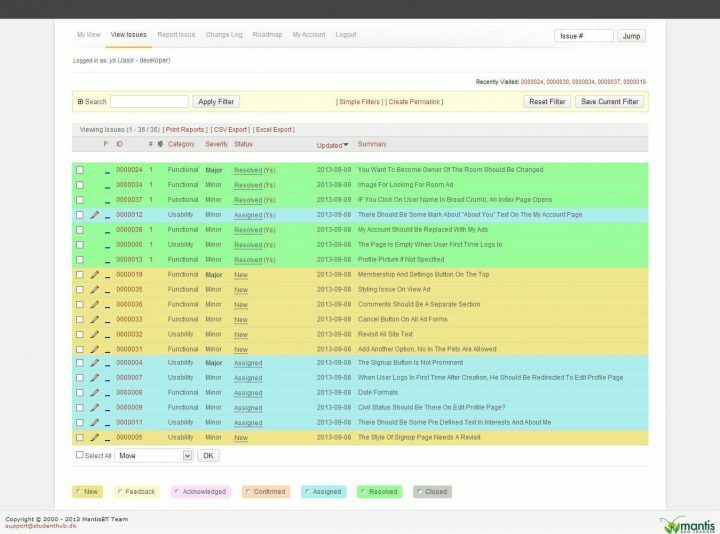 Mopinion software is an all-in-one user feedback solution for collecting online feedback from websites, mobile apps, and email. Pricing: Free for basic features. Starter packages begin at 79 EUR /month. 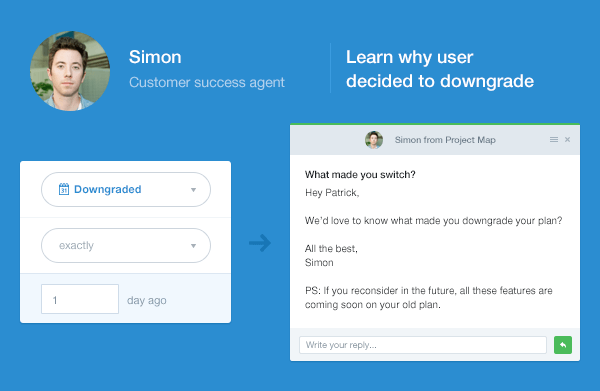 Intercom provides realistic data from customers perfectly. The software allows communication with consumers based on their behavioral and other aspects. Drift aces engagement, support and capturing leads. The platform makes it easy to contact website visitors so you can turn them into valuable leads. Though we’ve created an extensive list, several other product management tools may also make life easier. Please let us know if something is on your mind or you know other apps we can add to the list! If you want to learn more on product management processes, check out our Product Design book! Previous articleWho Should You Hire, and Why?